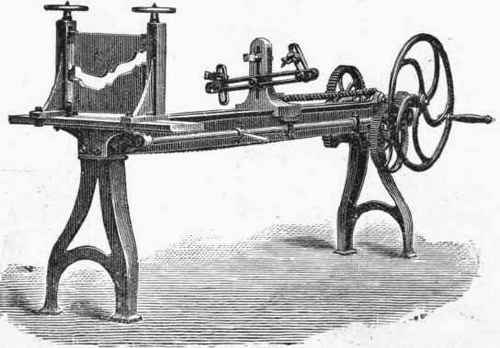 The machines and tools used in sheet and plate metal work are of almost infinite variety, especially in the former class of work. 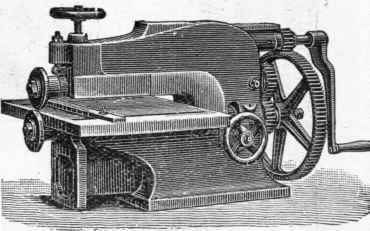 For plate work the machines usually used are those for straightening, punching, shearing, planing, rolling, drilling, riveting, together with hydraulic presses for flanging, and a variety of pneumatic and electrically driven tools. 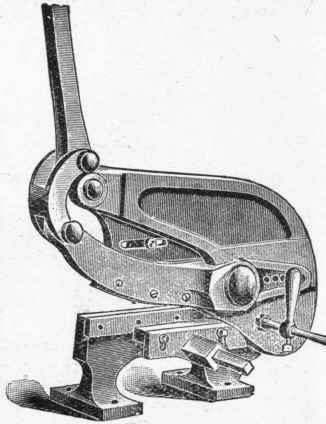 In sheet metal work the chief machine is perhaps that of the press, in which blanks of almost any shape and size can be cut out, and objects pressed or drawn into any form as required. 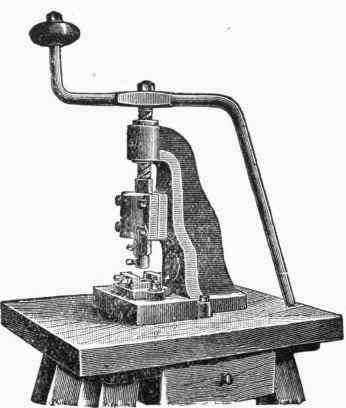 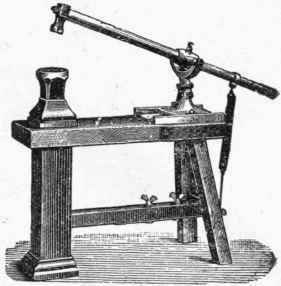 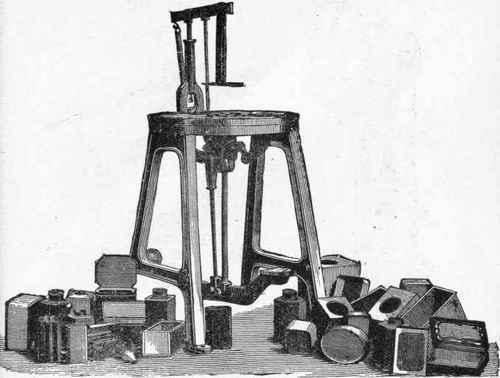 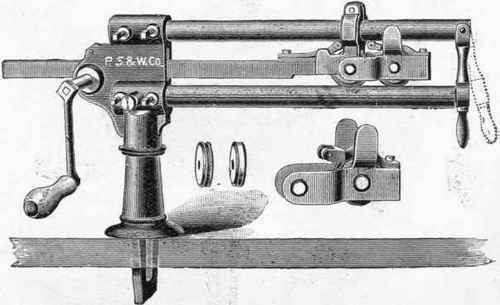 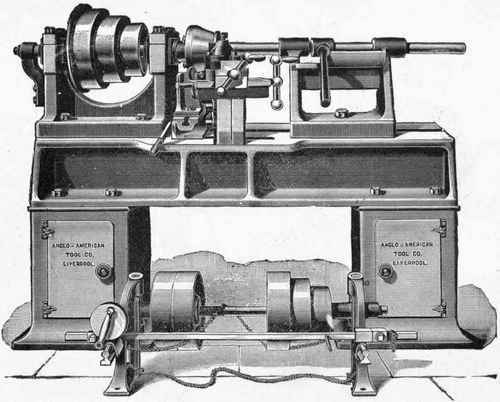 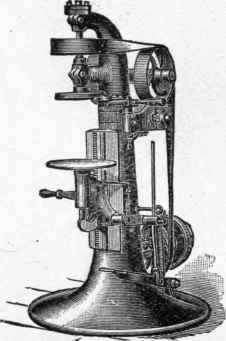 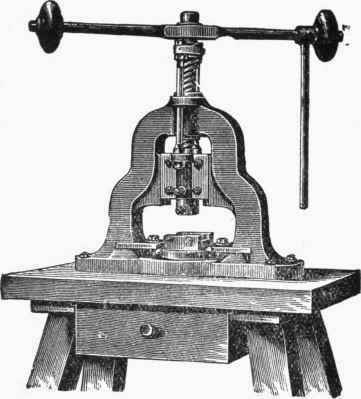 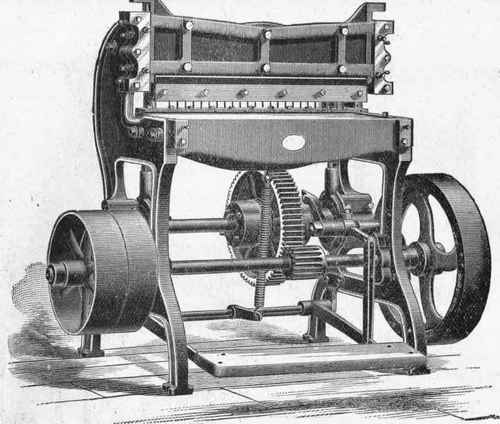 The spinning lathe, too, is used for a great number of operations in light work, either in trimming, flanging, bulging, burnishing, beading, curling, or wiring of stamped or drawn articles. 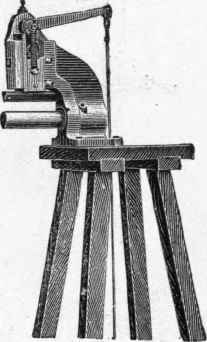 Also, with suitable tools, hollow circular objects can be spun right up into shape from the flat disc. 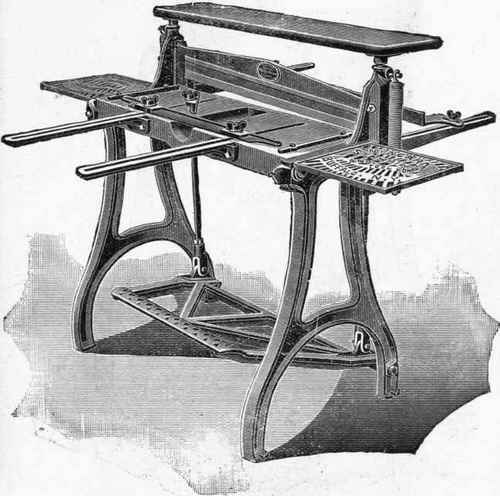 A few of the more important machines used by sheet metal workers are shown in the following pages, also several bench tools, in addition to those already given in the former chapters. 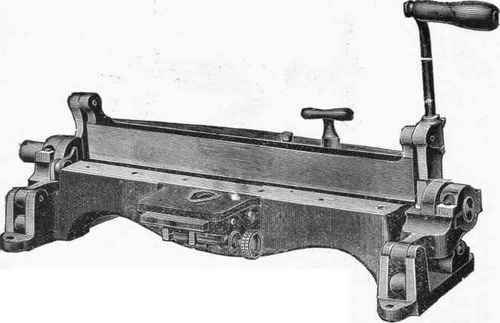 Inclined Power Press for Cutting, Piercing and Forming. 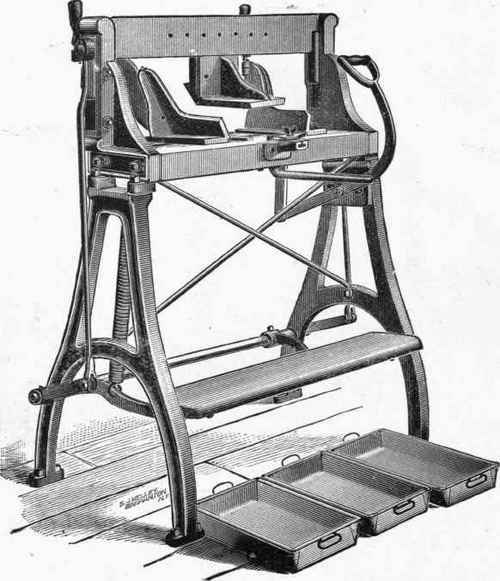 Sections as formed in the above Press. 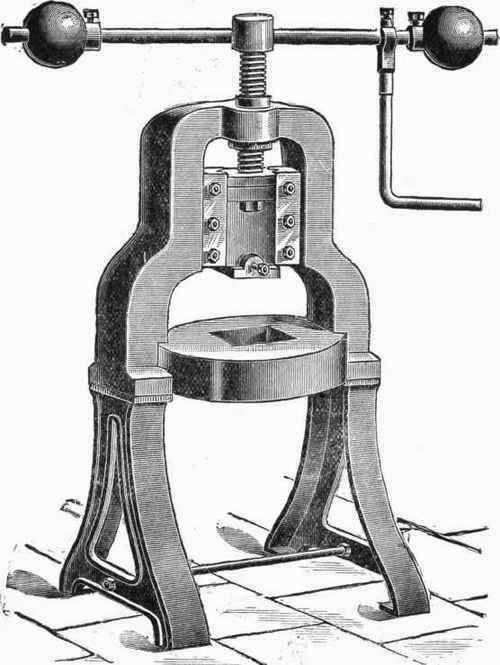 Power Press for Small Articles. 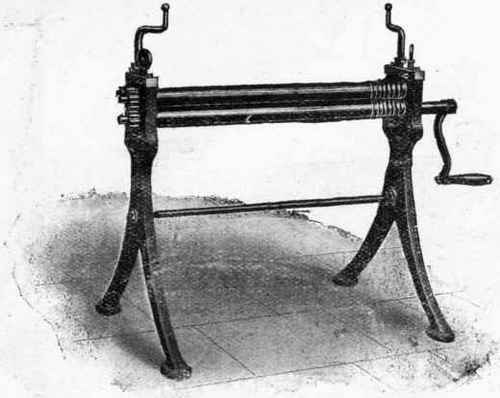 Circle and Strip Shearing Machine. 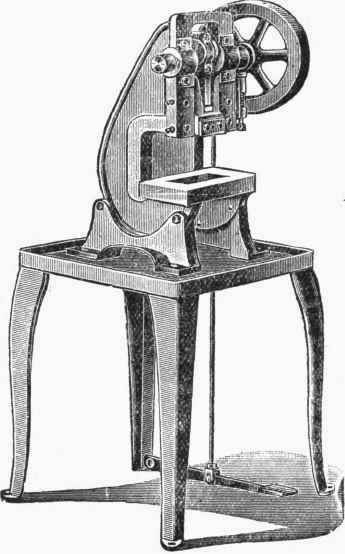 Crimping Machine for Fixing Tops and Bottoms. 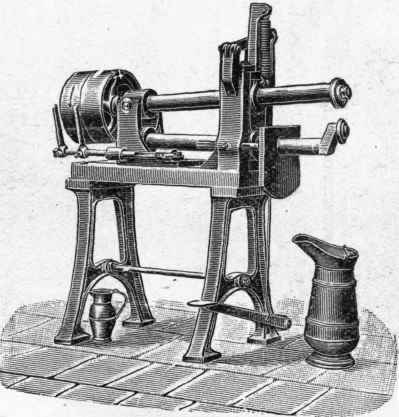 Double Seaming Machine for Ends. 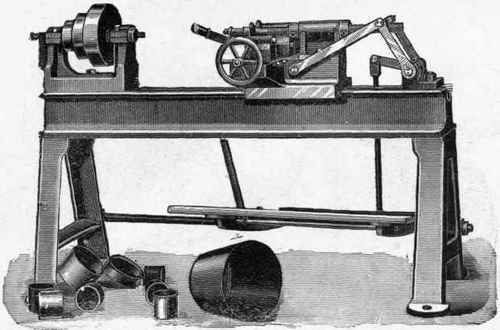 Hand Rolls for Sheet Metal Work. 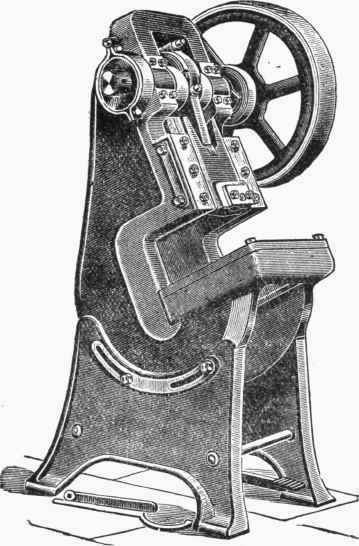 Combined Grooving and Closing Machine.